DEBASHIS CHATTERJEE has taught leadership classes at Harvard University and at the Indian Institutes of Management (IIM) in Calcutta, Lucknow, and Kozhikode for nearly two decades. He has been awarded the prestigious Fulbright Fellowship twice for predoctoral and postdoctoral work at Harvard's John F. Kennedy School of Government. 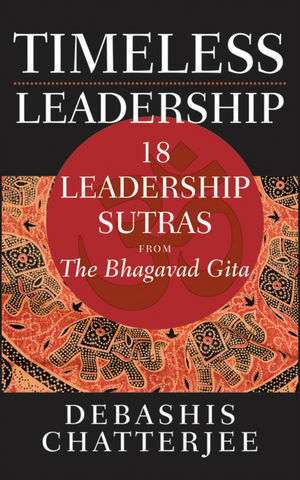 The author of six books, including Leading Consciously and Break Free, that have been translated into several languages, Dr. Chatterjee has trained more than 10,000 managers at Fortune 100 corporations globally and has served as a leadership coach to political leaders and CEOs of major Indian organizations. He has acted as dean of an international business school in Singapore. A pioneer in the field of Asian models in leadership, Dr. Chatterjee is currently the Director of the IIM Kozhikode and serves as independent director on the boards of several multinational and Indian companies. He can be reached at dciimk@gmail.com.